As expected, Apple today announced the next version of macOS, the desktop operating system you probably still refer to as OS X. Version 10.13 will carry the name “macOS High Sierra” and include new features like an improved file system and updates to core macOS apps like Photos and Mail. The developer beta is now available to developers; consumers can sign up for a public beta that will go live in late June. There were virtually no leaks ahead of today’s reveal, probably because the team wasn’t really looking to reinvent the wheel with this release. Apple’s Craig Federighi today noted that the team wanted to spend the last year to perfect macOS Sierra. High Sierra is all about deep technologies that provide a foundation for new technologies, Federighi noted. The built-in Mail app now uses less space for storing your mail, Federighi noted, and Photos also has received a major update that now makes better use of various machine-learning techniques to better recognize faces and improve sorting. 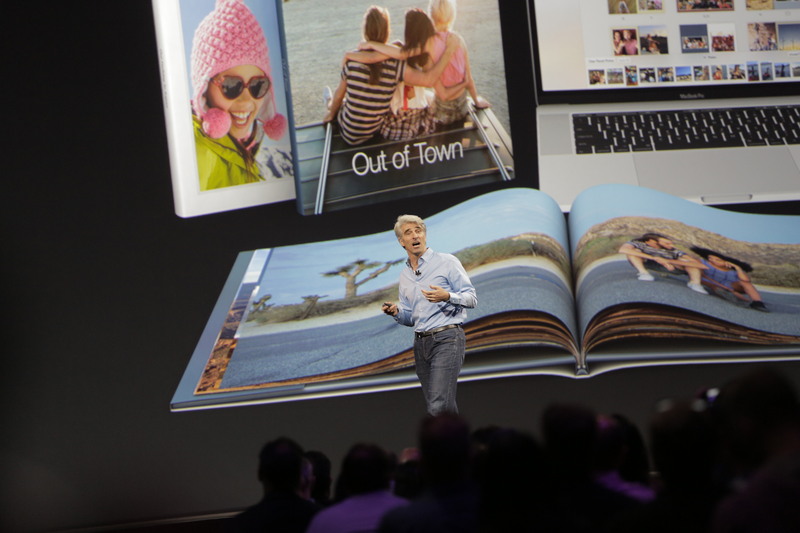 The company also is opening its Photo Book printing service to third-party apps (which makes for interesting timing, given the launch of Google’s photo books only a few weeks ago). But this release is mostly about the fundamentals. The default file system on macOS is now the Apple File System (APFS), for example. It’s a 64-bit system with built-in crash protection and instant file and directory cloning, for example. This is the same file system Apple already uses for iOS and tvOS. MacOS also has support for HEVC as the default video container, which will replace H.264. 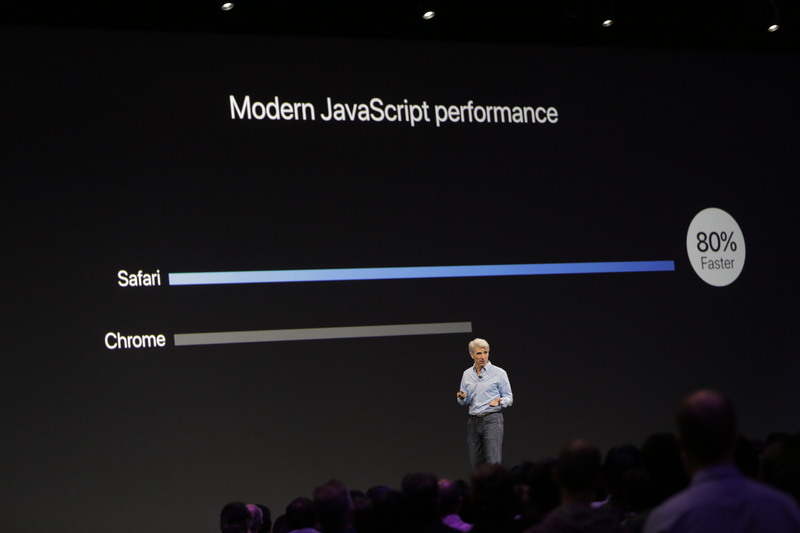 This will be hardware accelerated on new Macs and integrated into apps like Final Cut. 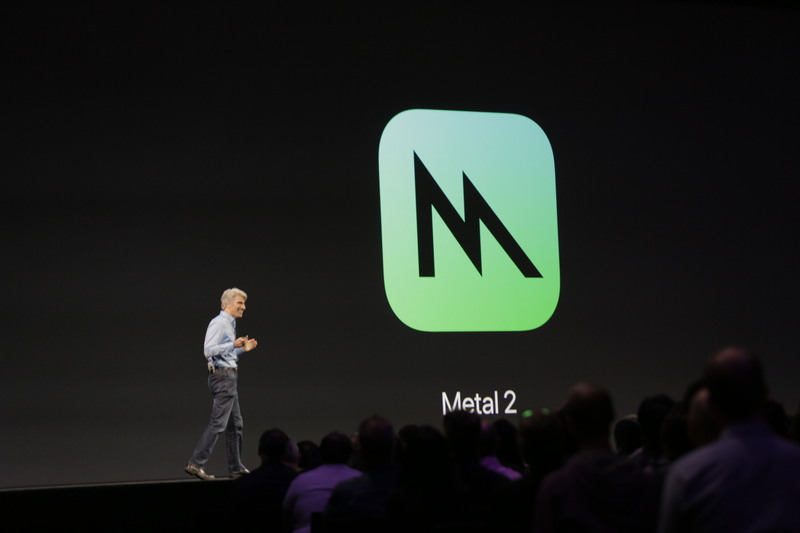 On the graphics side, Apple also announced Metal 2, the second version of its graphics-rendering framework. The focus here is mostly on graphics speed, but it can now also be used to speed up machine learning workloads on the GPU. In addition, Metal 2 can now access external graphics, using a Thunderbolt 3 enclosure with an AMD graphics card, which is now available for developers. Metal is also getting VR support. 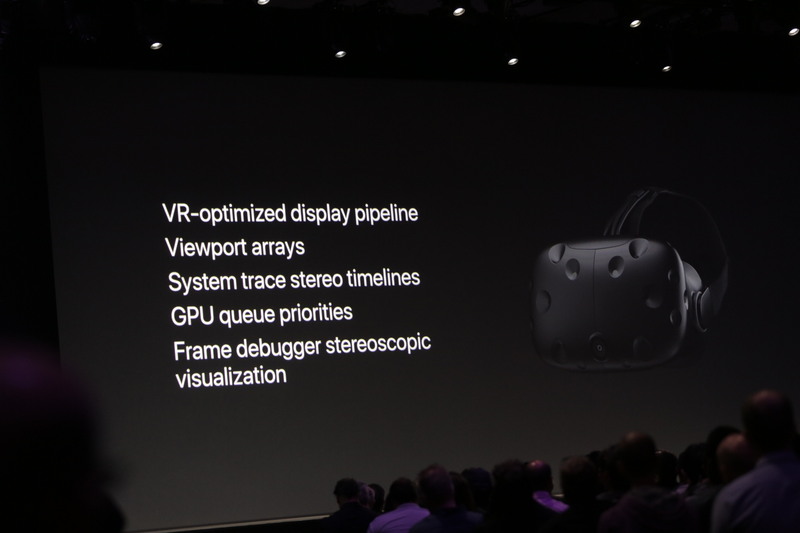 The company is working with Steam, Unity and Unreal to bring better VR support to the Mac (which, of course, only works because the new Mac hardware now comes with an improved graphics card to drive these kinds of VR experiences). Last September, the previous version of macOS went live under the “Sierra” moniker. The highlight of that release was the addition of Siri on the desktop. I don’t know many people who use it, but those who do surely find it useful. Other new features included the ability for apps to open new windows as tabs (just like you do in a browser), support for Apple Pay on the desktop, hands-free unlock with the help of a nearby Apple Watch, as well as updates to virtually all the default apps that now ship with macOS, like Messages and Photos.